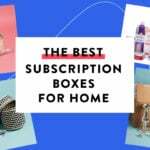 The GlobeIn Premium Box is a monthly subscription that sends you original crafts by global artisans. Each box contains handcrafted items from around the world and the stories of the artists who made the pieces. There are two levels of subscription: Essential and Premium. The Essential subscription comes with one handpicked artisan item each month, and the Premium comes with a full curated collection. GlobeIn offers one new theme every month. They also have 3-5 best selling theme boxes that they restock each month. Users have from the 1st to the 10th of the month to make their theme choice. If you don’t choose by that date, GlobeIn will send a random box from what’s in stock. They do guarantee that you won’t receive a duplicate theme! This is a review of the Premium box, which is $40.00 per month. The Cost: The Premium box is $40 per month + free shipping for the first month ($10 shipping for future months). The Products: Handcrafted items from around the world curated around a monthly theme. 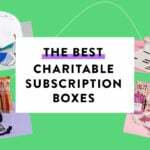 Good to know: Other subscriptions are available: The Essential box includes one item for $10 per month+ free shipping for the first month ($3 shipping for future months). There is also a Starter level where your monthly membership fee gets put towards credit to use in their online shop. Each box from GlobeIn contains a booklet that talks more about the theme for the box and the items inside. I also got a card for Simple Habit, a meditation app. Just a heads up, there aren’t prices listed in the booklet for the items, so I’m going off the prices given in this Globein spoilers post! These woven grass baskets make frequent appearances in GlobeIn baskets, and I am a big fan. This one has bold blue accents and a lid for hiding whatever’s inside. I’ve used these baskets for storing spare cords, coasters, pens and pencils, and all sorts of other clutter that I want to keep nearby but out of sight. The booklet suggests using these as wind chimes or hanging them on the door. They have a pleasant, gentle ring to them, and I love the gold color. I just moved to a place with a front porch, so I may hang them there to add to the atmosphere outside. The idea behind mala beads is that you count the beads, perhaps repeating your mantra with each one until you return to the center tassel-adorned bead. This mala is made of wood and bright red thread. I could see someone wearing this as a long necklace, too! The idea of this kit is that you add some essential oil to the bottle and let the aromas seep up the reeds and into the air. I love the ombre blue tones of the handmade glass bottle. It’s a smaller diffuser at 4″, which is a much more convenient footprint than my electronic diffuser that uses water. But the aroma spreads in an equally pleasant way. I also got an essential oil to use with my new diffuser! This lavender essential oil is relaxing, peaceful, and best of all, organic. This bonus item is a card created by a mindfulness service. The 5″ x 7″ card could be an encouraging design to frame, hang over a desk, or maybe in the bathroom where you can read it to yourself as an affirmation in your mirror. The Verdict: “Mindfulness” is a great match for this subscription. After all, buying fair-trade or ethically is perhaps a more mindful way to shop, as it takes into consideration the people behind the products. I liked that the products in the box supported meditation as well as creating a mindful space. The basket was the least directly mindful product in the box, but I suppose I do feel more at ease when my space is tidy! $50.00 is on the higher end of what I typically feel comfortable spending on a subscription box, but I do think that the price feels fair in the end. You end up paying an average of $10.00 per item (not counting the bonus item), which is about what I’d expect to pay for things like these at local fair-trade boutiques. Can you still get this box if you sign up today? No. Subscribers have between the 1st and the 10th of the month to pick their box from the available themes. Check out all of our GlobeIn reviews and the Artisan Subscription Box Directory for similar boxes! What do you think of this month’s GlobeIn Artisan Box? What carrier oil did you use with the lavender oil? Great tip for using that palm leaf basket to store cords, coasters, etc! I only thought of the baskets as being decorative as opposed to functional as well. I haven’t looked into this brand much but that retail price is about right for 100% pure “therapeutic grade” essential oils (fair trade or not). In fact, I was just invited to buy oils from one of those MLM type organizations and I believe they were charging $20-40 per bottle of most kinds!! Yikes….no thanks. I’ll stick to my online sources that have periodic 40% off sales too. LOL. You are correct. That is a pretty standard price for 100% organic therapeutic grade oil. 4oz of oil for the same price is likely to be sub par quality. Not all E.O. are created equal. "I love their kits! I bought this one yesterday, looks like a good one!" Prep and Protect Summer Skin Essentials Ulta Kit – Available Now!